When American Idol powers back up in March—like the mosquito that flew away just as you were about to crush it—don’t expect any of its new judges to be the mean judge. As a whole, Katy Perry, Lionel Richie and country singer Luke Bryan would rather be uplifting than entertaining. Perry told Variety that the judges are more focused on “giving constructive criticism” and being sensitive to contestants’ feelings than being acerbic. Nice, but it’s possible to be both constructive and direct. Can they find a healthy medium without coddling contestants who aren’t all young kids? Many people watched American Idol in its early days to see bad singers get honest critiques of their bad singing, and often those critiques were viewed as mean, although Simon Cowell’s potentially traumatizing feedback made him the show’s most memorable judge and may have saved some careers. No one has filled the mean-judge void since—even Mariah Carey and Nicki Minaj were more judgmental toward each other than the contestants. And this new trio sounds like they’re aiming to be gentle with their advice. “I was so shy as a 15-year-old,” Richie says. “I didn’t have the confidence to walk out on that stage and do what these kids do.” It’s sweet, but may not be what the show needs. 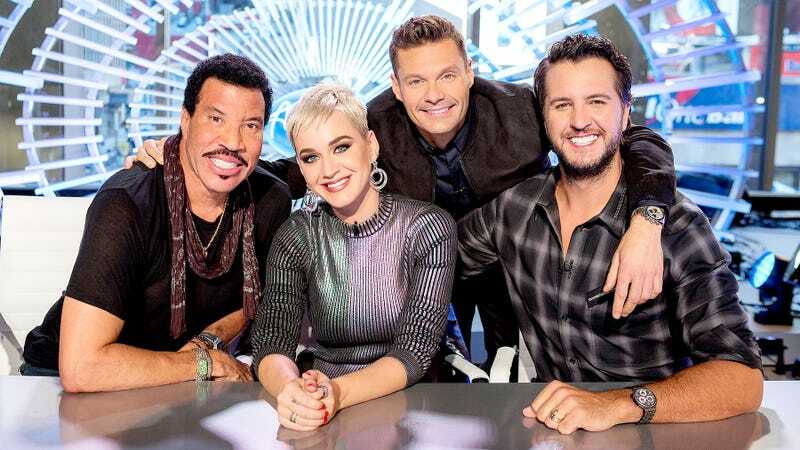 Hello, Is It Lionel Richie You&apos;re Looking For As An American Idol Judge?